When I found out the theme of the event was ‘what we put on’ and they were purses as table decorations… and not just any purses, but GORGEOUS amazing PURSES! 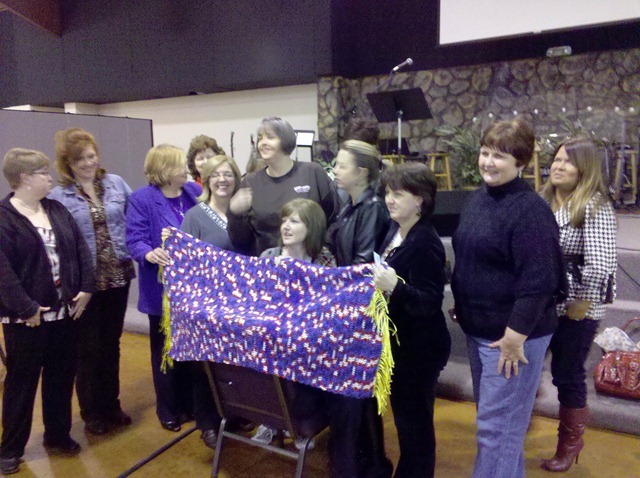 I was so blessed to be invited to speak to this great group of women at Lakewood Baptist Church….. they were sweet, wonderful and incredible. I just adored meeting each of them. 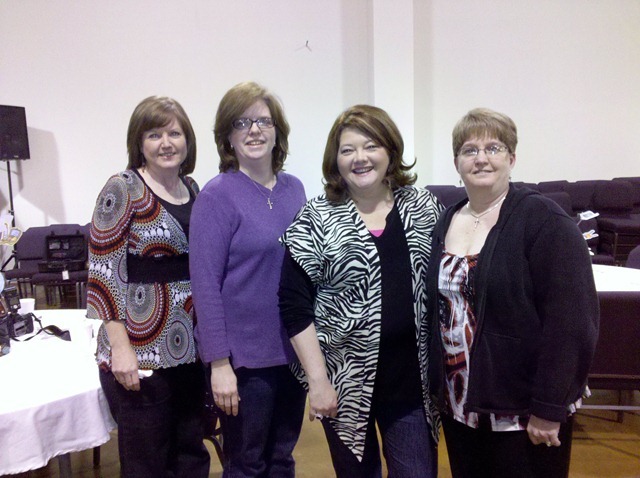 Jackie, Lori, Me and Amy – what a sweet bunch… well, not me. I’m not calling myself sweet that would be ….. well, that would be weird. and we all cried… alot. And then there were the purses… oh how they blessed me so. This is the one that this sweet group blessed me with. I LOVE it. And I loved my time with them. 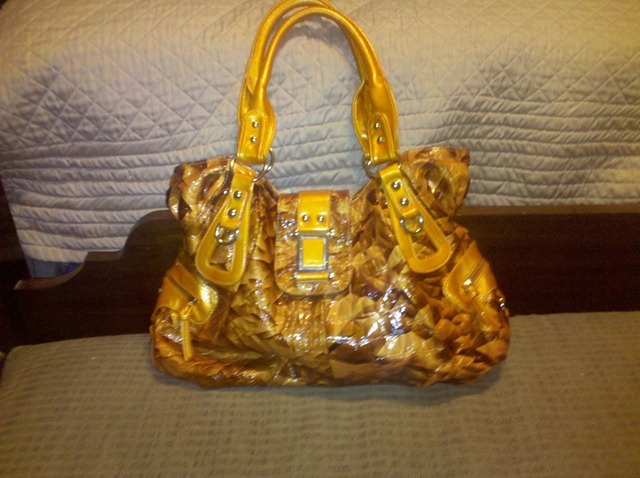 And I’m in the market for another new purse so if you’re looking for a speaker and you have a cute purse …. I just may be your girl.